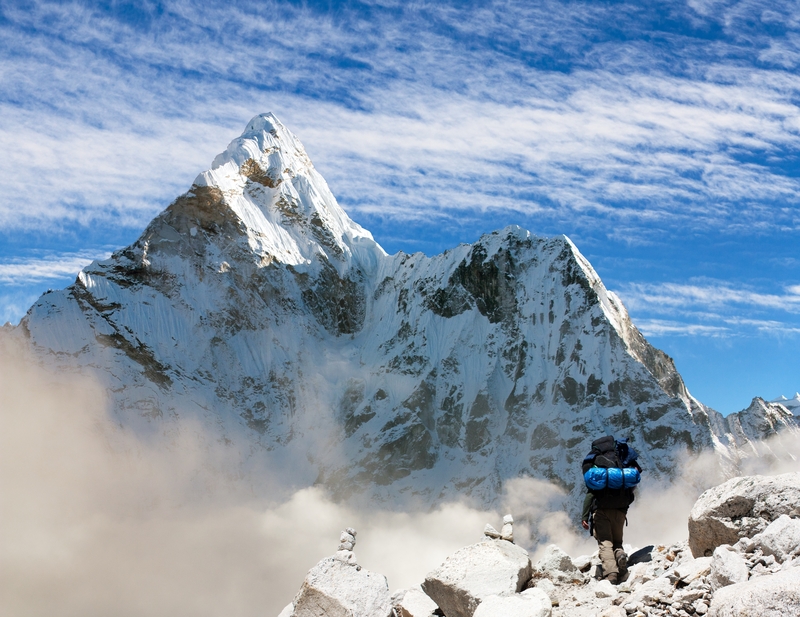 Recovering from bulimia, binge eating, or poor body image can feel like climbing Mount Everest! You’re standing there, looking up and you just cannot see the prize. 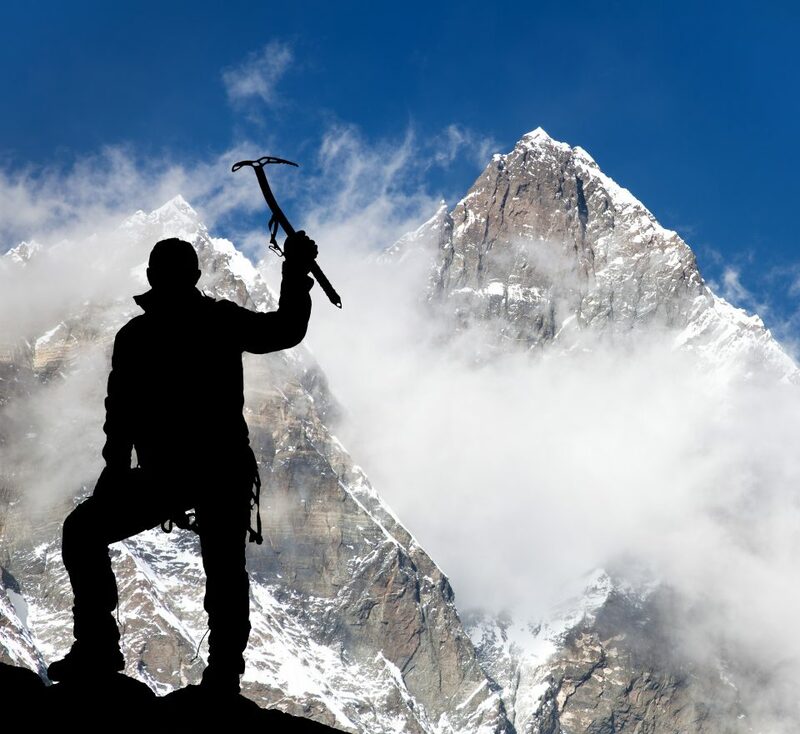 You are at the bottom, looking for the peak because you hear about how great it feels to accomplish such a feat. You feel excited and you are determined and committed. “Bring it on! I got this!” But there you are, at the bottom, and you think, “OMG, what did I get myself into?” The journey is daunting. Sometimes defeat is declared right there. There is just no freaking way. Other times you start the ascent only to realize partway up that you are not equipped for this task – you just aren’t good enough. Sigh. No surprise. Head home. I read Bear Grylls’ book, The Kid Who Climbed Everest on recommendation from a friend. I’ve never climbed, so I had no idea what to expect. Did you know that they go up and down that mountain at least five times? I was struck by the many lessons in the story and they have stuck with me since. I found it really interesting that it’s not a straight climb up. Similarly, my own recovery has been anything but straight. Gryll’s story explains that there are a series of progressive steps as they climb. There is more than one camp and they climb in progressive stages. First, they climb to camp one, spend a short amount of time there, then climb back down to the base camp. Build, then rest. Then they climb again, back to camp one. Hang out there a bit. Then climb up to camp two. Then back down to camp one. Rest. You see, they know that they have to acclimatize to the new height. They have to come back down to allow their body to rest and recover from the stress they put on their body. If they don’t, they’ll break. Stress + Rest = Strength. When you take “Rest” out of the equation, you get exhaustion, injury, and ultimately failure. Each of my attempts at recovery stretched me in the same manner. Changing my mindset has been hard work and it still is. How I relate to my world, my food and my body is dramatically different now than it was 15 years ago. But it didn’t change overnight. It stressed me. It pushed me. Sometimes, it broke me. Every time that I set up a new plan to recover, I approached it like a diet. As if some magic would suddenly make me stop binge eating and hating my body, but it didn’t work like that. I learned that just like climbing Everest, I had to rise, retreat, rest, and repeat. My retreat and rest stopped feeling like failure. It was just part of the process to get to the next camp. Each rise was a lot of work. It taxed me and tired me. It took my full attention, and most of my energy. There was nothing easy or intuitive about it. My head got noisy as I learned how my scripts were running. I’d have to step in and talk myself out of whatever it was that was on repeat. Then I had to record new scripts and remember to play that record. It was exhausting. Naturally, I would retreat to rest and recover after such a task. But I always saw it as another failure. When I finally built up the courage to go at it again, I noticed that this time, it was a bit less daunting than the last. I recognized that old script that was playing and replaced it much faster and sometimes without conscious effort at all. So now, I can retreat and rest without the failure chatter in my head. I can take care of myself, build up my energy again and then head back up the mountain. I still don’t know that I’ve made it to the summit, but I do know this; I have seen many camps. I have learned many life lessons. I am comfortable at heights that I never thought possible. I will keep climbing to see where this takes me.